I am using this holla hump day to discuss our recent adventure to Florida. I want to thank God, the universe, the alignment of the stars, yadda yadda. Whatever you want to call it, I want to thank it. I did not purchase a plane ticket for Lila for this trip simply because I didn't have to. Well, that and they are expensive. She turns two in May. This will almost 100% be the last time she is on an airplane before she turns two and they require her to have a ticket. That being said, on the way to and from West Palm Beach we ended up with a seat for her anyway and she did not have to sit in Sara's lap. 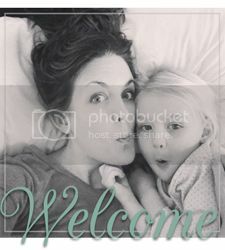 Changing gears a little bit, this post is going to involve some of my ramblings about motherhood as well. Shocker, I know. Anyway, it's not necessary to say this, but I love my child with everything that I am. However, on this trip she tested me beyond what I am usually capable of letting go of. If you have children older than two I'm guessing you know what I'm talking about. If you have a child (or children) under the age of two I want you to know that when the day comes where you experience this you can call me. And you can cry to me. And you can scream too if you want. You see, everyone has a breaking point. The problem is, the breaking point that you feel when your sweet, perfect, adorable angel has put you there is completely different. I realize I am pregnant and that may have factored in. I kind of don't think so though. I have been overwhelmed before. I have been stressed and scared and feeling guilty all due to this job of being a parent. But there is usually a clear line for me where I can work my way through it without becoming a mess of tears and frustration. The past couple of weeks that seems to be getting harder to do. I have tried to come up with ways to handle myself and handle my soon to be two year old. Nothing major happened in Florida that hasn't happened at home...other than the clear line becoming blurry for me and the collapse into swirling emotions took over. The weather was perfect. My dad and his wife Liz did so much to make sure we had a good time. I'm not sure if Lila just got restless or if she was simply acting her age. It doesn't matter really. The fact of the matter is, she had a few massive meltdowns that sent me over the edge. Yesterday she woke up very early, didn't nap for very long, and when she woke up from the nap she was inconsolable. Then I started crying and I just kind of froze up. I didn't want to be anywhere near her and I'm sure that was making it worse. I wanted to lay down and ignore the whole thing. Thank you dad and Sara for whisking her away for a walk so that I could lay down and get myself together. Thank you for not judging me and for loving me (and Lila) as much as you do. Most of all, thank you for understanding. Again, if you find yourself not sure of how to come back to life in an episode that may be similar give me a shout. I will whisk away your child or sit on the phone with you and I won't judge you. Lastly, the biggest shout out goes to Sara. The day after we got there she got sick and generally felt crappy. She still found ways to make me feel better and help me out. One day I hope I can repay her for everything she does for us and for all the love she gives. It is simply immeasurable.